0. Do "do it talk #2" in New Crown 1. 1. Read and repeat the prepositions at the top of the worksheet. Have the students write the Japanese meanings. 2. 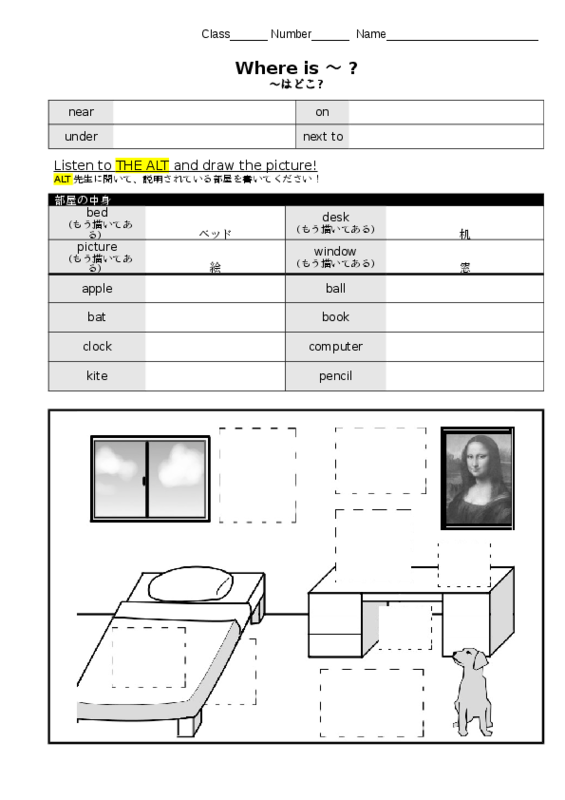 Read and repeat the words in the second box (•”‰®‚Ì’†g) and have the students write down the meanings. 3. 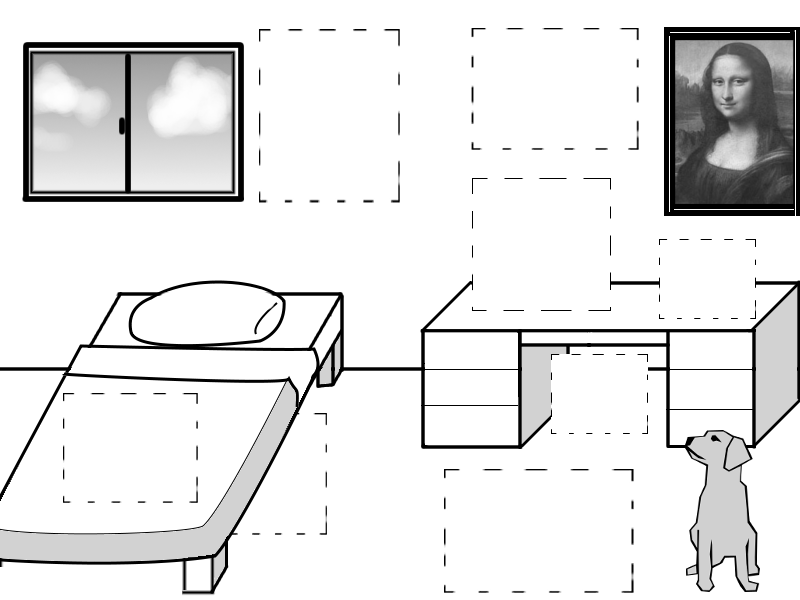 If needed, describe the location of the empty squares at the bottom of the worksheet so the students understand all of them: next to the window, next to the picture, under the picture, on the desk, under the desk, near/next to Pikachu, under the bed, on the bed. 4. 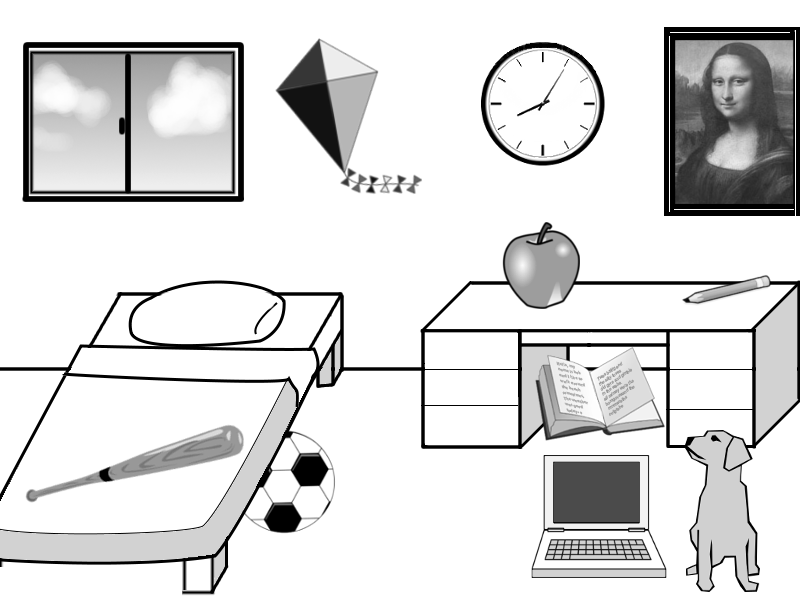 Instruct the students to draw the room you describe. 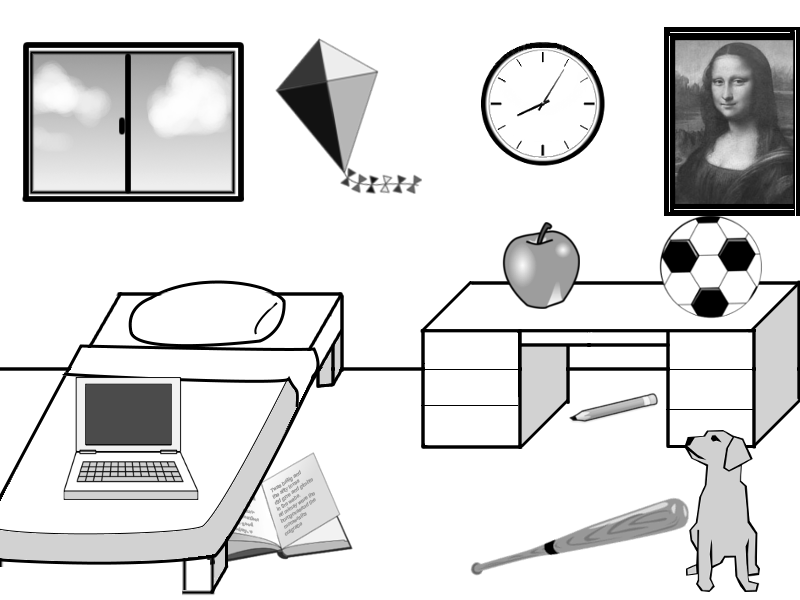 One object at a time, describe version C of the room. 5. Show the students the blow up of room C and check answers. 6. Break the students into pairs, and have them do the same. 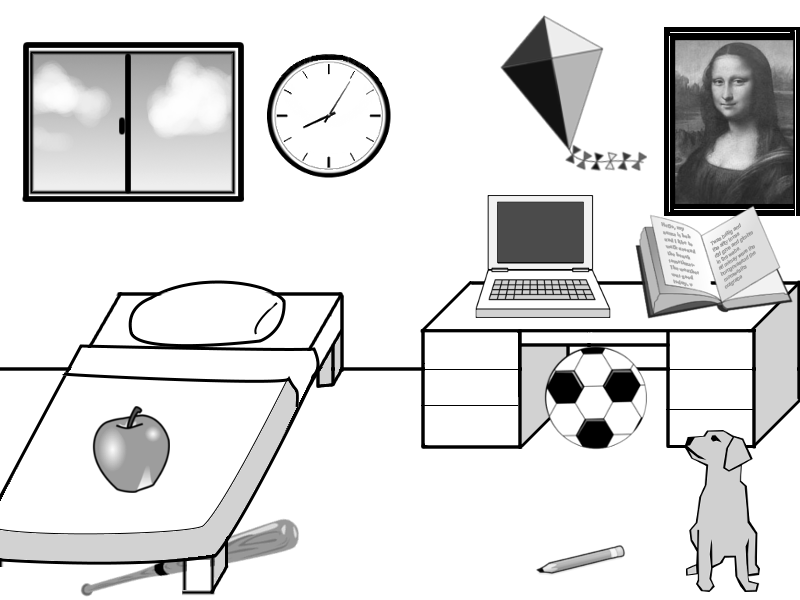 One student will describe the room on his page, and the other student will draw it at the bottom of page two. * For step #5 you may wish to cover each object in the picture with post-it notes before hand. That way you can describe the objects one more time as you give the answers, and then peel off the post-it note to reveal the object, much like they do on Japanese game shows. * In step #6 you can ask the students to go through a dialog rather than one just talking and the other listening. E.g. A: Where is the kite? B: It's next to the window. Make sure the kids don't just look at each other's papers and such.